Every Mum loves to be spoilt on this special day. This Mother’s Day breakfast menu could be managed by any son or daughter over the age of eight, with a bit of help from Dad! Start shopping and planning one full day ahead. This should be prepared the night before and spooned into buttered ovenproof dishes. Then it just needs fifteen minutes in a hot oven. If you are feeling really adventurous, the cheesy pudding would be lovely with these tomatoes alongside. 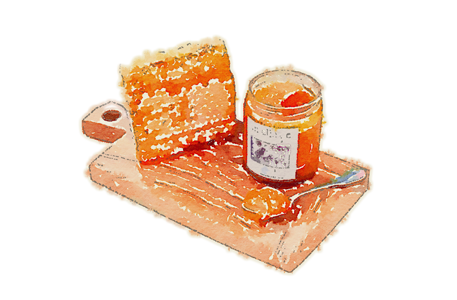 Everyone will enjoy a slice of toast spread with crushed honeycomb and a mug of tea.